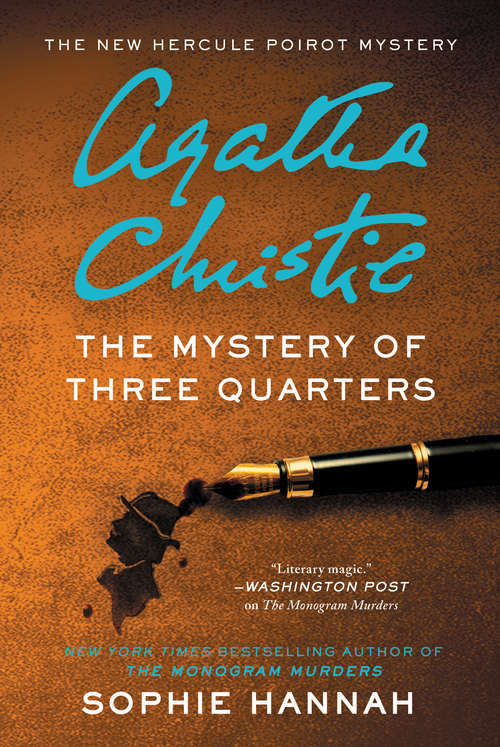 The world’s most beloved detective, Hercule Poirot—the legendary star of Agatha Christie’s Murder on the Orient Express and most recently The Monogram Murders and Closed Casket—returns in a stylish, diabolically clever mystery set in the London of 1930.“We Agatha Christie fans read her stories--and particularly her Poirot novels--because the mysteries are invariably equal parts charming and ingenious, dark and quirky and utterly engaging. Sophie Hannah had a massive challenge in reviving the beloved Poirot, and she met it with heart and no small amount of little grey cells. I was thrilled to see the Belgian detective in such very, very good hands. Reading The Monogram Murders was like returning to a favorite room of a long-lost home.” — Gillian Flynn, author of Gone GirlHercule Poirot returns home after an agreeable luncheon to find an angry woman waiting to berate him outside his front door. Her name is Sylvia Rule, and she demands to know why Poirot has accused her of the murder of Barnabas Pandy, a man she has neither heard of nor ever met. She is furious to be so accused, and deeply shocked. Poirot is equally shocked, because he too has never heard of any Barnabas Pandy, and he certainly did not send the letter in question. He cannot convince Sylvia Rule of his innocence, however, and she marches away in a rage.Shaken, Poirot goes inside, only to find that he has a visitor waiting for him — a man called John McCrodden who also claims also to have received a letter from Poirot that morning, accusing him of the murder of Barnabas Pandy... Poirot wonders how many more letters of this sort have been sent in his name. Who sent them, and why? More importantly, who is Barnabas Pandy, is he dead, and, if so, was he murdered? And can Poirot find out the answers without putting more lives in danger?